Wearables from Mobvoi, Polar and Withings have just returned from our test lab, with one of the new arrivals impressing us so much that we’ve made it a Best Buy. 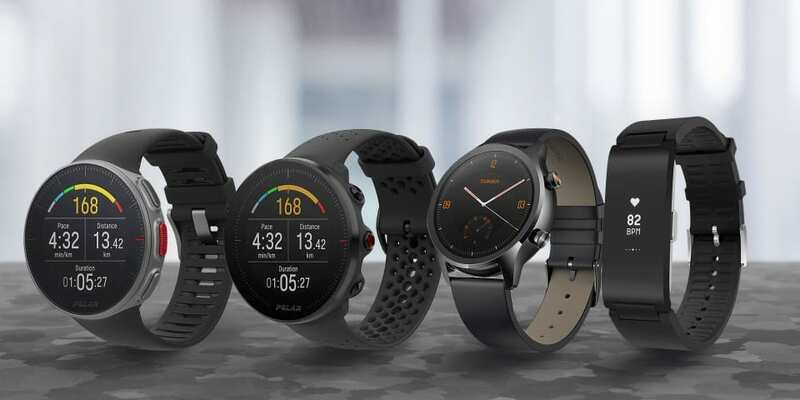 Paying close attention to step accuracy, ease of use and battery life, we’ve hit the gym with the Polar Vantage V, Polar Vantage M, Withings Pulse HR and Mobvoi Ticwatch C2. Prices start at around £120 for the most affordable model and rise to more than £300. Keep scrolling for more details on each tracker’s key features and for links to the full reviews. Browse all the best fitness watches and activity trackers. The Vantage V from Polar becomes one of the priciest fitness watches we’ve tested this year. Although it looks like a traditional watch, the brainy Vantage V effortlessly serves as your enthusiastic exercise buddy, tracking more than 100 sports from basketball to ballroom dancing. Polar’s premium, Android and iOS-compatible wearable comes with built-in GPS, saving you the hassle of carrying your smartphone while you’re out on a run. Unlike its slightly more affordable sibling, the Polar Vantage M (see below), the Vantage V has a metallic body and responsive touchscreen. Does this fitness watch’s list of tricks justify its high price? Read our full Polar Vantage V review to see how it fared in our test lab. Keen runners will no doubt be aware of Polar’s family of fitness watches and activity trackers. The sleek Vantage M has an always-on 31mm colour screen, but you don’t tap it to interact – this model makes use of five navigation buttons on its side instead. The Polar Vantage M has GPS just like the Vantage V, along with an altimeter and an optical heart-rate monitor. This model is slightly lighter, though, weighing in at just under 44g. Support for around 130 activity-tracking modes comes included, presenting you with regular updates on distance covered, pace, altitude, average heart rate and more. This wearable can track more sporting activities than you can probably think of, but how accurate is it when it comes to counting steps? Our full Polar Vantage M review reveals all. The cheapest activity tracker in our latest round of tests comes from Withings. The Withings Pulse HR, which costs around £120, is a simple-looking device that presents your stats on a monochrome OLED display. With the Pulse HR clinging to your wrist, you’ll get daily updates on steps taken, distance travelled and calories burned. A heart-rate monitor can keep an eye on the quality of your sleep, while the waterproof body means the Pulse HR will survive a dip down to 50 metres. Is this the new go-to wearable if you’re not so fussed about detailed fitness tracking? For more details, head over to our Withings Pulse HR review. This Wear OS smartwatch from China-based brand Mobvoi has a stainless-steel and plastic body, with a neutral design that should blend comfortably with a range of outfits. It’s wi-fi equipped and uses NFC for contactless payments, while Google Assistant is on hand to answer your questions. A handy Find My Phone app comes pre-installed on the Ticwatch, which is good news if you misplace your phone. The smartwatch can also read texts, and make and receive calls. In terms of fitness functionality, the Mobvoi Ticwatch C2 ships with two of the brand’s own apps – TicExercise and TicHealth. You can track a couple of sports with those apps, although we recommend opting for Google Fit, which you can also access on the Ticwatch. Is this the smartwatch you’ve been looking for? 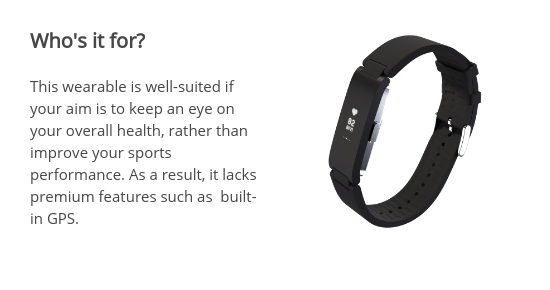 Before you part with your hard-earned money, consult our Mobvoi Ticwatch C2 review. As our expert tests prove time and time again, price does not define performance. Our rigorous tests have uncovered plenty of expensive wearables that aren’t up to scratch, which is why it’s vital you do your research before reaching for your wallet. Below, we’ve calculated the average Which? test score for every fitness brand we’ve reviewed products from over the past year. 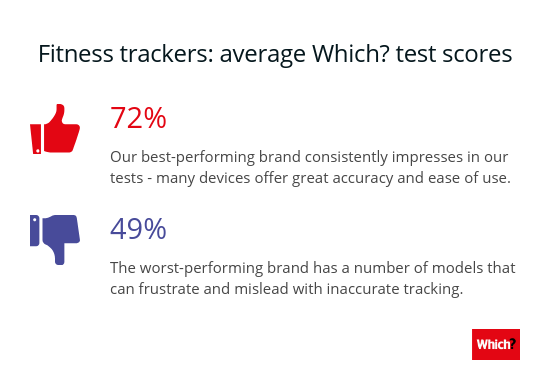 Our top-performing brand has impressed with accurate, durable gadgets, while the big name at the other end of the table is let down by a tracker that raises serious privacy and security concerns. To discover the best activity trackers and fitness watches with built-in heart-rate monitors, see our advice on the top activity trackers and fitness watches for 2019. Alternatively, find your perfect model by browsing our activity tracker reviews and smartwatch reviews.